However, they lacked a common understanding as to what “compassionate care” might mean, how it manifested or not, and how it might impact people’s experience and productivity at work. They were also concerned that staff did not have the time, energy, and the permission to be fully present and accommodating to provide compassionate care, considering the diverse range of individual patient needs and complex problems. Consequently, they perceived that their people had no head, heart and gut space, or way, of developing or understanding what it meant to provide consistent compassionate care to patients. For our potential client’s organization to maximise their potential to succeed, we suggested that they first needed to further clarify and align their organizational aspiration with the Board and Executive Managers—qualifying and quantifying What they wanted to achieve, and Why they wanted to achieve it. An inspiring and inclusive Vision for Compassionate Care supported by their description of their ideal organization when this vision is achieved. The focus might include being adaptive, interdependent, collaborative, being empathic and caring, improving both the patient and staffs’ experience; giving people permission to challenge the status quo, and compliance imperatives, developing EI skills, vulnerability and courage to make small bets and take smart risks, promoting wellbeing-ness and wellness, and maximizing differences and diversity. A BHAG for Compassionate Care to cascade as performance measures across the organization to drive accountability. A Passionate Purpose for Compassionate Care; a compelling reason as to why it is the most powerful and critical lever to pull for positive change and industry leadership. The Values for Compassionate Care, supported by clearly defined and desired mindsets and behavioural anchors to harness people’s potential. What matters next is defining the Behaviours and Actions that people are encouraged, enabled and rewarded to take, or not take, to deliver the Results and the Outcomes the client organization wants to achieve. In the case of our clients’ potential intervention, the behaviours and actions needed to be guided by a very clear set of organizational Strategies, incorporating a Systemic perspective embracing people, process and technology factors. Conducting the culture diagnostic would enable our clients’ organization to assess “what is really going on” in their organization. This would include their readiness and maturity for a change initiative. It would create the context and develop a common understanding of compassionate care. It would measure, quantify and benchmark their ability to adapt and transform within that context. It would embrace qualitative research processes to identify, analyse and assess the supporting, inhibiting and causal factors in the operating needs, values, beliefs and mindsets on the change initiatives ability to be successful, or not. An Organizational Cultural Diagnostic would enable our client to critically identify the gaps between the current and ideal cultures; between what “should happen” in the future and what needs to be done differently now to close the gap in terms of the current and desired needs, values, beliefs, mindsets, and behaviours. Conducting an organizational climate survey would enable our client to describe and measure people’s reactions to their experience of the current organizational culture, and its impact on them. Knowing that an Organizational Climate Survey is only a representation of how people's (and especially leaders) current operating behaviours and actions affect people, we would not recommend this as an initial first step. It is an "effect" of the operating culture and neither indicates nor reveals the real, underlying root cause as to why people react as they do. Conducting an engagement survey would enable our client to assess how people are thinking, acting and feeling about how “things are getting done” in their organization. How this impacts on their effectiveness and productivity in their roles. Whilst this is important, it merely reflects peoples experience of their employers Organizational Climate, which is driven by the Organizational Culture. So how are culture, climate, and engagement interconnected? Promote an understanding of the three key tools and choose the most relevant one to solve business problems and deliver their organizational aspirations. Identify, make explicit and operationalize the core values and desired behaviours through leader’s role modeling and coaching people to embody and enact them. Enable, empower, acknowledge and reward people when they demonstrate them. To ultimately transform the current "cultural norms" into desired ones, and to close the gaps between the current and ideal organizational states to ensure that change is successfully implemented. Clarify and share your organizational aspirations with your people; vision, purpose & values grounded in desired mindsets and behaviours. 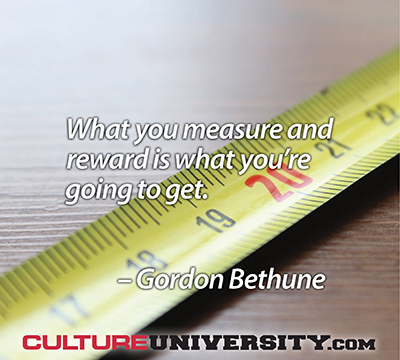 Assess, measure and diagnose your current culture, to identify the operating needs, values and beliefs and how these operate as “cultural norms” and get sent as “messages” in the organization, and their impact on overall performance. Identify the gap between the current or actual culture and ideal culture, and build and implement a culture development plan to close the gap, including how to lead and role model the desired changes. Monitor how these changes make people think, act and feel by regular climate and engagement surveys/dashboards (as a scorecard, not as the solution). It is not an easy journey, yet it is a worthwhile and sustainable one if we want to engage, empower, enable and ennoble people to be the best they can be, to make the difference we want to make in the world, in ways that are valued and cherished. 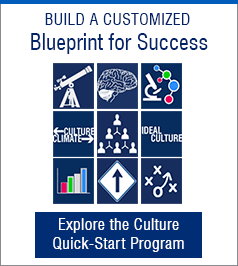 The desired and current cultures mentioned can be measured by the Ideal and Current forms of the Organizational Culture Inventory®, and climate can be measured by the Organizational Effectiveness Inventory®. To see how these diagnostics are linked together in practice, please review the "How Culture Works" model. For additional reference, please consider Clarifying the Elusive Concepts of Culture and Climate and An Updated Perspective on Engagement and Performance: Culture as the Centerpiece.